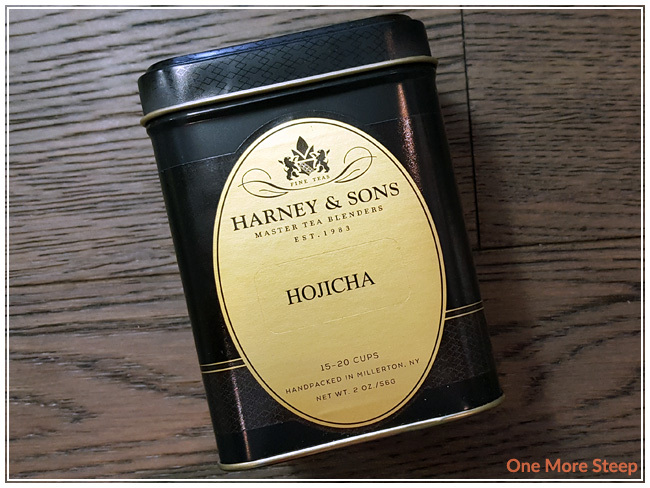 Hojicha was one of my purchases from Harney & Sons in SoHo when I was in New York City back in October 2017. I picked up the 2oz tin from their wall display of many, many tins because it’s honestly just a tea that I don’t often come across in Vancouver. The tea comes in a sealed silver packet inside of a the tin. 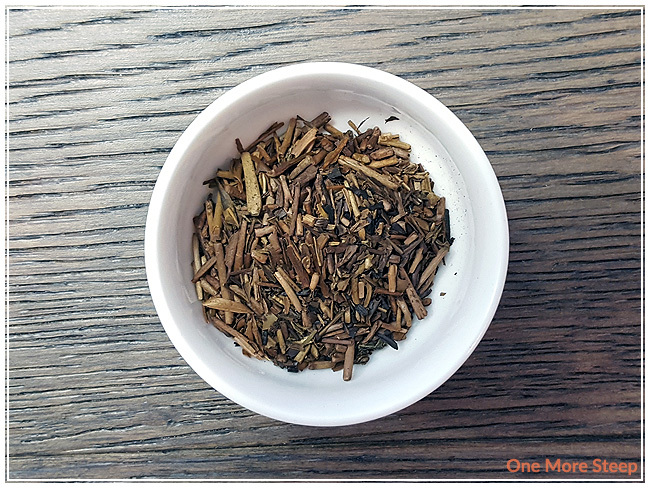 Hojicha consists of roasted tea twigs. That said, the tea consists of short, straight little sticks. I would definitely describe the aroma from the dry leaf as being roasted, it has an almost nutty smell to it. For green teas, Harney & Sons recommends steeping in 175°F (79°C) water for 1 to 3 minutes. My initial steep of Hojicha was for 90 seconds. 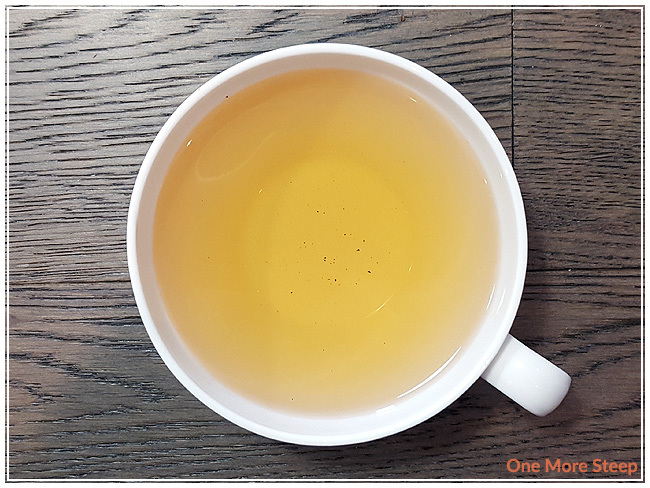 Hojicha steeps to a beautiful golden orange and it retains a lot of that roasted nuts aroma. The flavour of this tea reminds me a lot of walnuts, and has that toasted element to its flavour profile from the treatment of the short twigs. It’s got a full-bodied flavour, with a great mouth-coating quality to it. 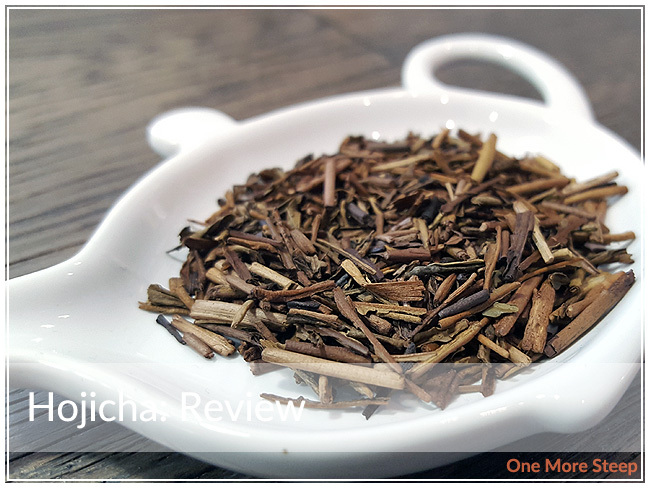 Hojicha does not have a subtle aroma or flavour to it, I would describe it as being strong. There’s a subtle sweetness that I found at the end of each sip that I wasn’t expecting, and it made for a surprisingly complex flavour profile, which I really enjoyed. 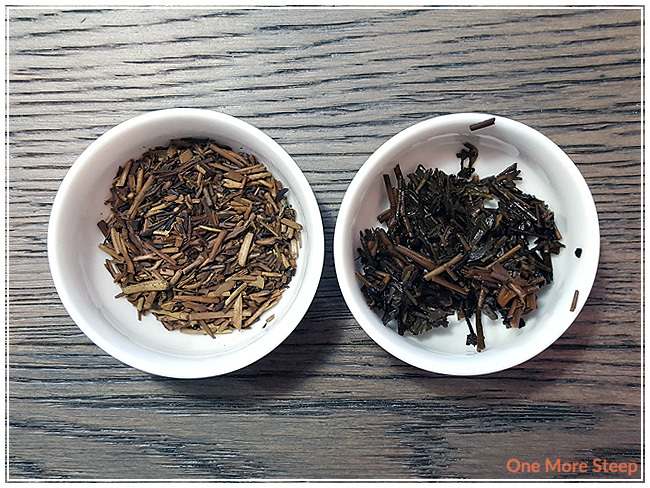 I resteeped Hojicha a total of three times (four steeps total), adding an extra 30 seconds for each subsequent steep. I found that the flavour got a bit sweeter for the first resteep, and began to wane in flavour for the next two resteeps. However, the toasted nuttiness remained fairly strong throughout, so it resteeped quite nicely. I loved Harney & Sons’ Hojicha. I really enjoyed the flavours of this Japanese green tea, and liked the way it steeped. The little sticks sure packed a punch of flavour! I think it would be a great morning tea, if you need an extra little somethin’ somethin’ to get you going in the morning, and might make a good coffee replacement if you’re a coffee drinker.